It's been a while since my last post. I haven't been lazy, just shy. I didn't want to show any gameplay until it looked good enough and I think I'm finally there. 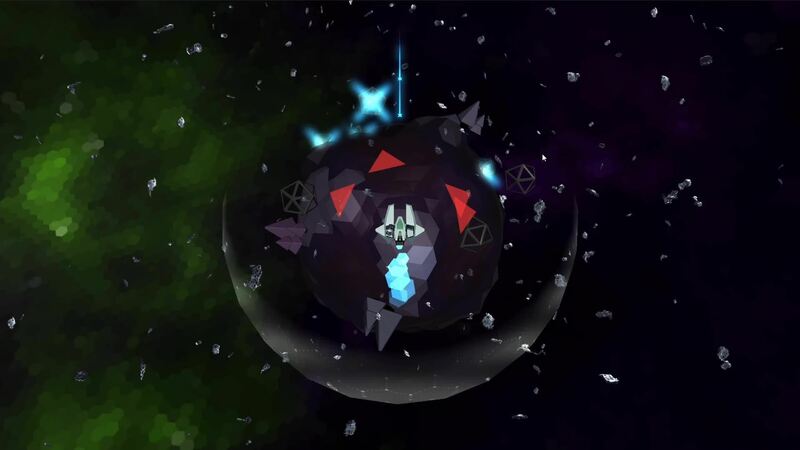 The game has had a lot of tuning and balancing including two demos at the Full Indie meetup. The feedback has been critical in the tuning of the game and was greatly appreciated. 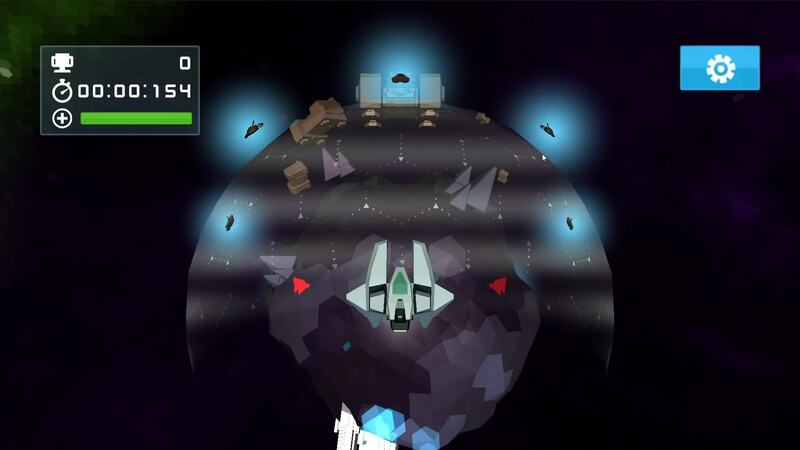 The game is a "mobile retro action game on a procedurally generated sphere". This is a fancy way of saying "space invaders clone". You use virtual thumbsticks (this actually works well!) to go left/right and a button to shoot. Once you defeat all of the enemies (and their bases) you move on to a snakes level where you collect pickups for bonus points. 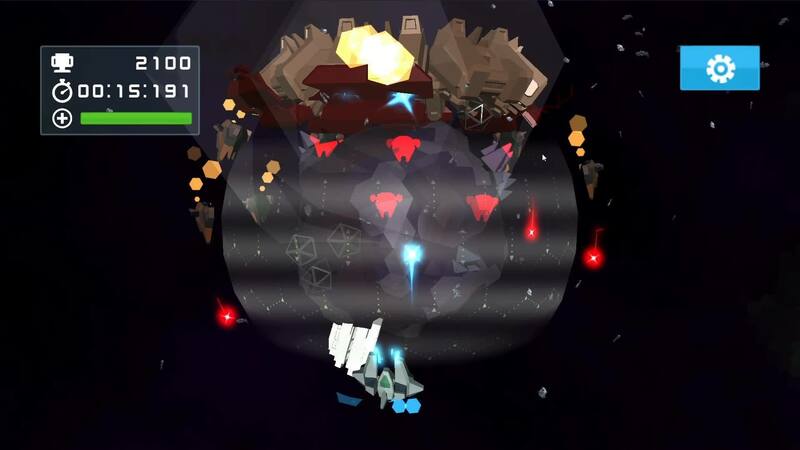 There are score and time leaderboards for each level (20 in total). View the gif directly: http://giant.gfycat.com/NippyEvenFlyingsquirrel.gif. View the gif directly: http://giant.gfycat.com/ApprehensiveOrderlyBighornedsheep.gif. View the gif directly: http://giant.gfycat.com/ThisRareAnkolewatusi.gif. I wanted the skybox to reflect the planet but since they are random the skybox needed to be dynamic. This can be done by tinting the textures in the shader. The default Unity shader tints the entire texture but I wanted a bit more complexity. I accomplished this by splitting the texture into 3 parts, tinting each one separately, and then combining them all into the final texture. 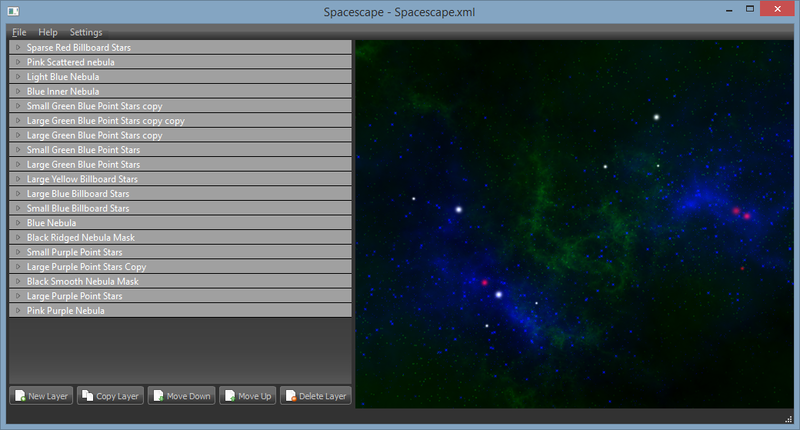 Spacescape is a really cool program for generating space skyboxes. 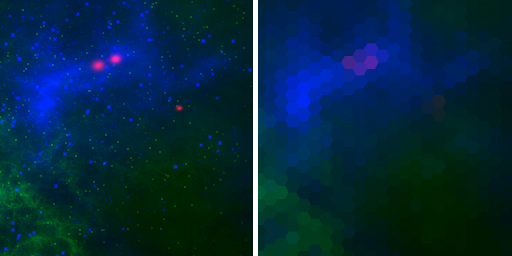 You can add layers for stars and nebulae and generate a 6-sided skybox for Unity. I made sure to colour each layer as red, green, or blue so that they could be split up properly in my shader. This generates a pretty cool looking background but it's a little too realistic for the art style that Onasphere is using. I found a nifty tool online at DX Interative to generate a hexagonal mosaic. 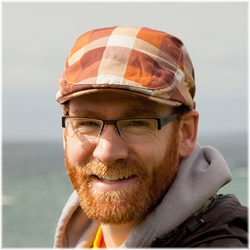 ​I combine all of the separate channels together with a custom tint value in the shader. 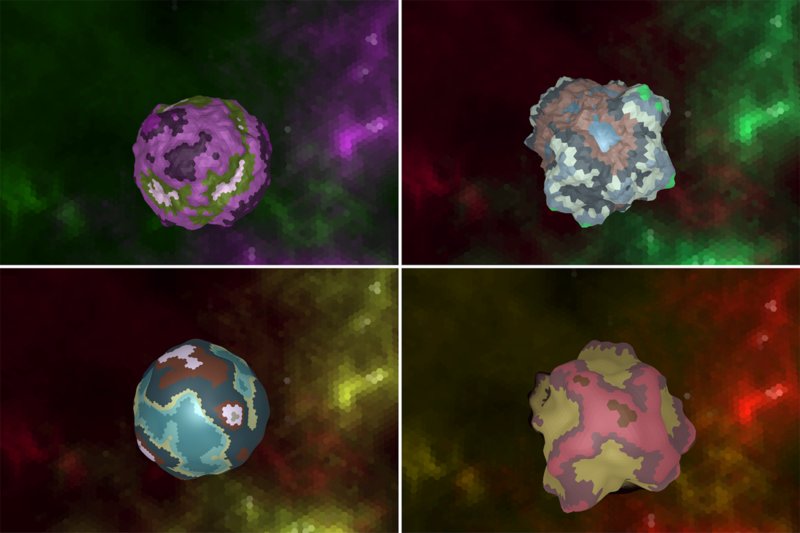 These tint values are set in my planet generating code. The first tint is for the star colour, second is for the primary tint, and the third is for a complimentary colour tint. It gives me some nice results without needing any complicated skybox shaders.